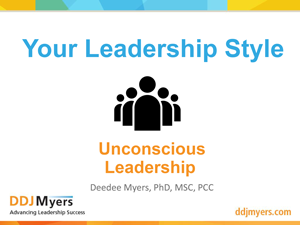 This presentation from the 2015 CUES Execu/Summit® offers self-assessment tools based upon eight leadership archetypes. You’ll gain an understanding of your board type and ability for strategic capacity. You’ll also learn a proven way to take ideas into effective action through exemplary leadership communication, coordination and collaboration. This is ideal for your entire board and management team; they will walk away with a fresh perspective on why things happen the way they do and new options to consider. Every credit union should be lead by an effective and high-performing board which is collectively responsible for the success of the members. difficult and easy. Being in the right practices creates a systematic approach to effective governance. Creating and Sustaining a High Performing Board. Every credit union should be lead by an effective and high-performing board which is collectively responsible for the success of the members. In this presentation, we discuss how to create and sustain a high performing board. 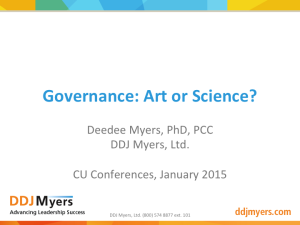 What do the stakeholders expect from the credit union and the board in its oversight role? What does the CEO expect from the board in terms of governance, decision making, strategic oversight and succession planning? How does your Chair define quality participation of the board? How does your Chair define quality participation of the CEO? 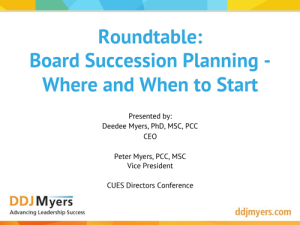 Why is Board Succession Planning an important discussion topic? What do we hope to achieve with board succession planning? What are our succession planning philosophy and policy? Is it tied with the strategic plan? Who should lead the process? Who should be involved? Who should be on our board? Why? How would term limits enable/inhibit our ability to best serve our current and future membership? Is board compensation something we should consider? In this presentation, we investigate what drives your leadership and life. How does it affect you and those around you in the board room, on committees, in conversation with your CEO, and in strategic dialogue?